This is the traditional method of curing cod. 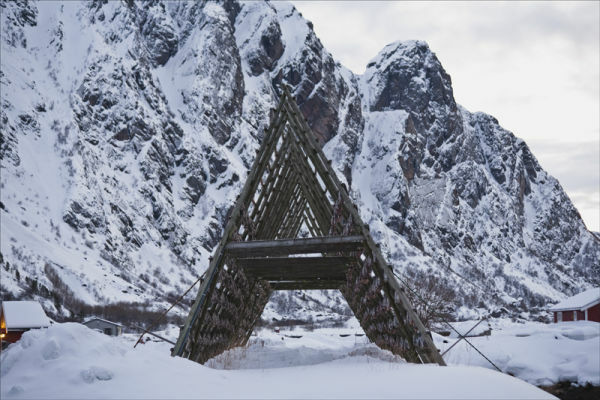 A delicacy is dried cod in the Lofoten and winter is the cod season. Huge amounts are caught, they are gutted and heads are removed then hung to dry over a period of time. These can be smelt ! before seen !